Phoenix, AZ — As the Free Thought Project reported, voter suppression in Maricopa County, and the rest of Arizona ran rampant last month during the primary. The number of polling locations was drastically reduced, leaving many voters with a wait time of 5 hours just to vote. Others were left with no voting locations at all. The testimony from Dianne Post confirmed the rampant voter suppression and election rigging which led to the hearing taking place. Post, who is an attorney in Maricopa County, testified a machine she was using to check in voters at a location failed to give 36 people the proper ballot. 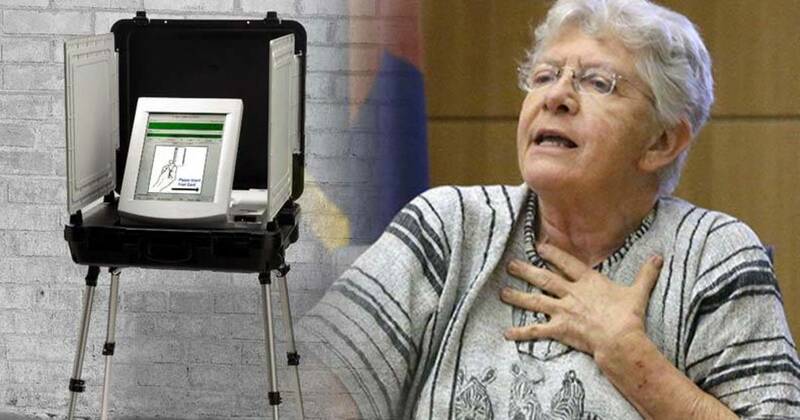 Maricopa County Recorder Helen Purcell, who was responsible for the reduction in polling places in 2016, attempted to justify her actions by claiming that voter turnout was traditionally low, so she simply reduced the number of polling locations to save money. However, she was either lying or grossly incompetent as the number of voters had more than doubled from 300,000 in 2012, to 800,000 in 2016.